Irregular Choice was created by Dan Sullivan in 1999 as a reason to stand out from the crowd. Dan saw the footwear market was becoming very neutral and black, yet there was a global demand for something different, individual and something to wear with pride. Irregular Choice shoes feature embellished heels, ornate wood carvings, tiny intricate charms, lavish fabrics, and memorable colour combinations. The Irregular Choice library of diverse fabrics, leathers, prints, trims, toys, glass, furs and colours is never ending. 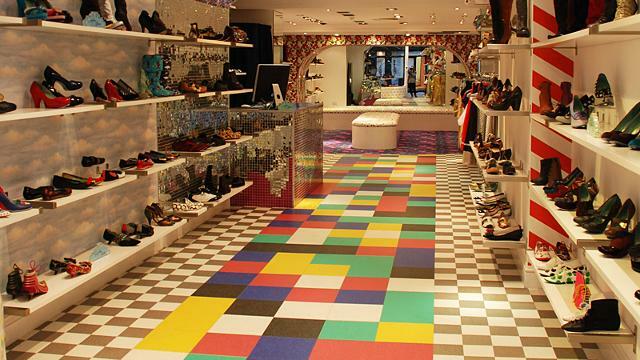 Pop into the Carnaby Street Irregular Choice shop to see the fruits of Dan Sullivan's creative mind for yourself. Is Irregular Choice your business?